The R.M. Williams store at Chadstone offers a complete range of fashion products and accessories for men and women. On the ground level of the Chadstone, in the R.M. Williams store, you will find great fashion pieces of world-class quality at best-in-class prices. 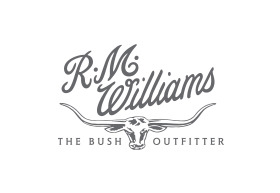 Established upon the principles of quality, authenticity and durability; R.M.Williams is renowned for premium handcrafted footwear and accessories as well as comprehensive selection of apparel for men, women and children. Visit R.M. Williams Chadstone located on ground level opposite Cafe Sapore.